ACTION DUDES - Nick and Larry - two action playing video gamers - brag about their fighting abilities and get mistaken for real mercenaries. 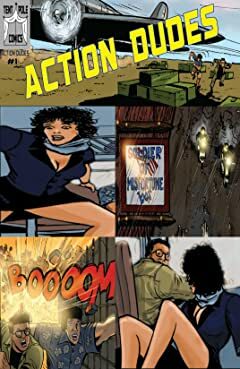 Shanghaied - they find themselves on a dangerous rescue mission where the bullets are real. 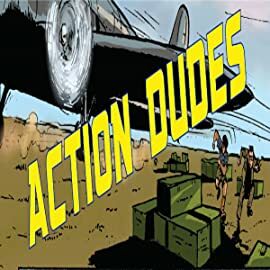 Expect the unexpected in future issues as regular - and some not so regular - guys have amazing adventures while tangling with dangerous characters and wild women.